Beech Mountain North Carolina is one of the highest locales in the southeast. It’s scenic locale combined with the clubs, restaurants and other amenities atop the mountain make it a highly sought after spot for real estate. The investment potential is remarkable. When people talk about a ‘sea of clouds’ these are the types of views that they are imagining. Beech Mountain’s summit rises to an elevation of over 5,500 feet! 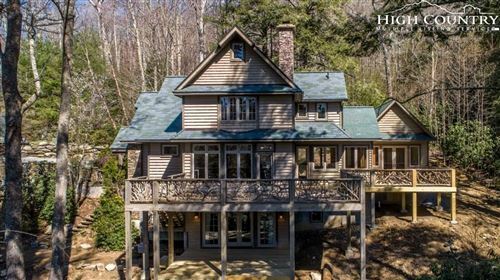 Click to view the Beech Mountain Real Estate listings if you are in search of properties with investment potential or the absolute best views in the High Country. Beech Mountain is synonymous with winter activities as it is home to Ski Beech Resort, one of the first resorts in the southeastern area. The resort has ramped up efforts to expand its summer and warmer month programs and today, the resort is a haven for mountain bikers and cyclists from all over the world. Countless professionals have chosen this mountain as a training home base throughout their careers. That is because the winding roads, hill climbs and enormous change in elevation makes for diverse environment to train in. Beech Mtn. is not just an enclave for young people, retirees and families have been coming to this area for decades. There are many amenities including tennis, golf, hiking and so much more. Search the Beech Mountain real estate listings and you’ll find a diverse array of properties. There are luxury golf course estates, pinnacle and summit villas, affordable condos with views, mountain lodge style homes, fixer uppers, as well as brand new constructions. If you are searching for land, Beech Mountain is a fantastic locale. There are many club lots available, land with enormous views and some fantastic former farmland tracts.